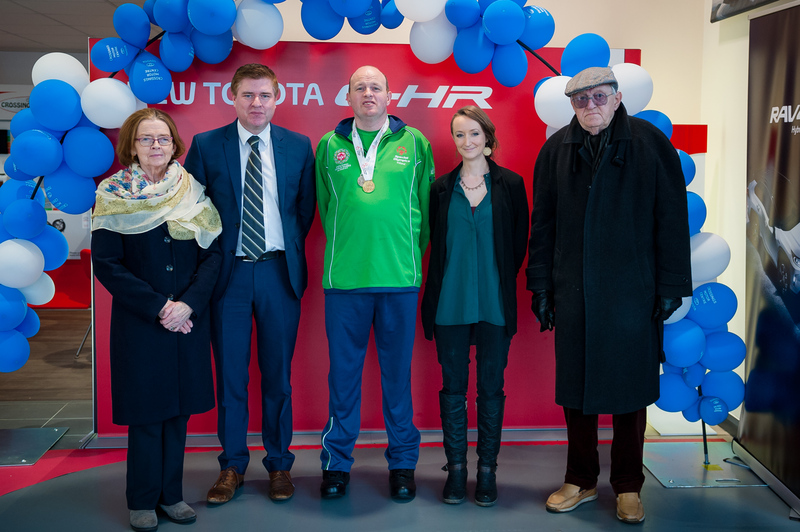 Test Drive a Hybrid in Crossings Motor Centre this February and we will donate €20 to a very Special cause. The Special Olympics World Games take place every four years and the Irish athletes have been training hard and working towards this day for years. This March, Naas athlete Conor Byrne will be going forwards to represent Ireland in Equestrian. Conor, (37) who hails from Naas and works locally, is the only Naas Olympian to be going forwards. He is incredibly excited to be heading across to Abu Dhabi next month to compete is a sport he has loved since he was small. Some 7,000 athletes will head across to the Games, set to be the biggest sporting and humanitarian event taking place in 2019. The Wolrd Games takes place over a week in March, from the 14th- 21st and with not long to go now the athletes and their families are gearing up for an adventure like no other. In order to raise funds for Conor and his family heading across to the Games we are running our "Test Drive for your Club" initiative this February. For every Test Drive booked and taken this month, Crossings will donate €20. You can take part in our Fundraising initiative by emailing sinead.obrien@crossings.ie with your preferred date and time for your test drive, and which model you would like to take out for a spin. We recommend booking the Corolla hatchback Hybrid and the all new Rav4 Hybrid for your test drive. These next generation, self-charging Hybrids are automatic and couldn't be easier to drive. Built using the new Toyota TNGA platform, they give a smoother, quieter, safer drive than any other Toyota that has gone before them. T&C's :Test drive bookings must be made by emailing sinead.obrien@crossings.ie and stating that you wish to take part in the drive for your club for Conor Byrne our local athlete. Max 45 test drives per initiative. 100% of online Everyday Hero donations goes to S.O Ireland. Crossings Test Drive donations will go towards supporting Conor on his journey. Thank you in advance for any donations made to this wonderful cause.